Yesterday was the North Bus Trip of the Western Washington Quilt Shop Hop. I decided to do the trip again this year, even though Jean wasn’t going… and as usual its a pretty good time if you are a quilter. The shops offer a free pattern and at least some of the themed fabric to make their square design. 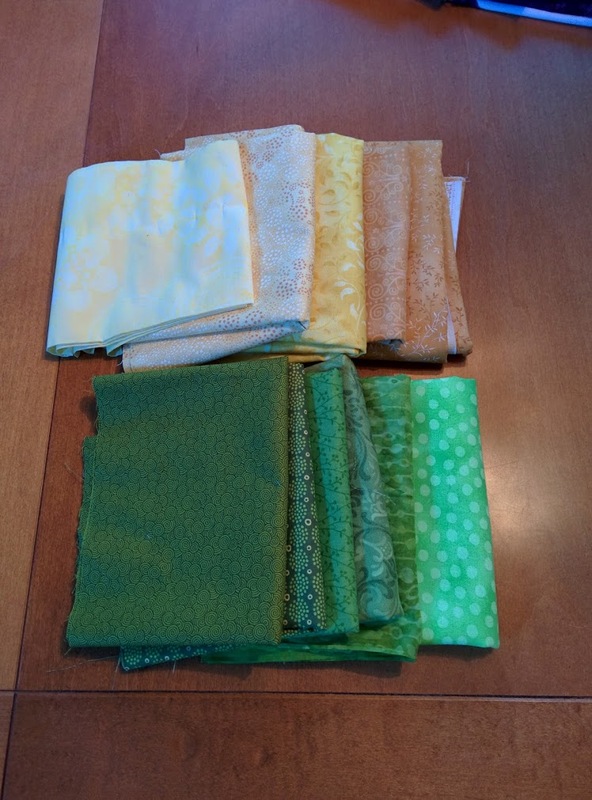 They can also offer the remaining fabrics or other notions as a finishing kit. If you visit enough shops you can enter to win some great prizes. I tend to shop with an objectives list as it gives me a bit more focus and I tend to not go as overboard. So the first thing on my list was fabrics for my wedding decoration and quilt. I finished up the first block (minus the embroidery) on Tuesday so I would know how much of various colors I might want or need. 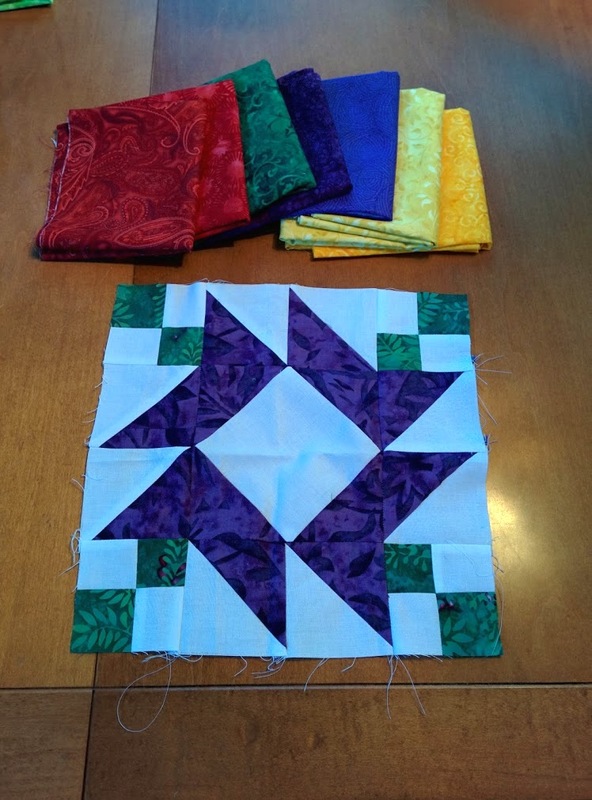 The second project on my buy list was for a quilt for our guest room. We repainted it this year and so most of my pale blue and pink was not fitting in. So I picked up several yellows and greens for that. Now, to be perfectly honest… there is always more shopping than just the needs. Apparently this year I needed some whales, dinosaurs and cats. As well as a quilters map, and the knitting related fabric. 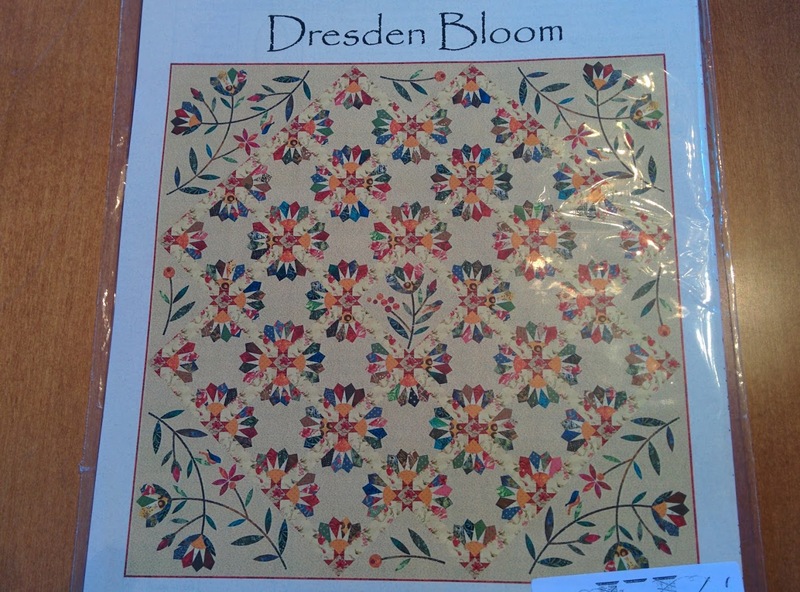 i also fell a bit in love with this pattern for a modified Dresden and flowers. The shop had a sample quilt on display and it was AMAZING. I am thinking of going a bit scrappy with it, as I’ve been piling up a “few” scraps. This year the shop hop was happening at the same time as the Row by Row Experience, which is a nationwide event. The shops offer a free pattern for a row. They can also offer a kit to complete their row which may have a cost. I did pick up patterns, but only a few of the kits. I seem to have quite a bit of blues in my stash and the theme this year is H2O… so I’ll see if I have the time to assemble some rows. 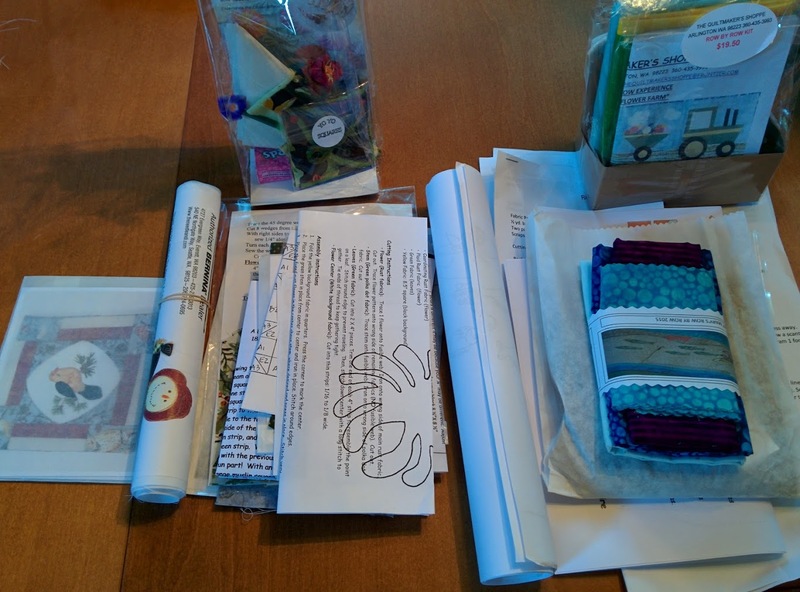 So here’s my pile of patterns and kits from the hop and the Row by Row.